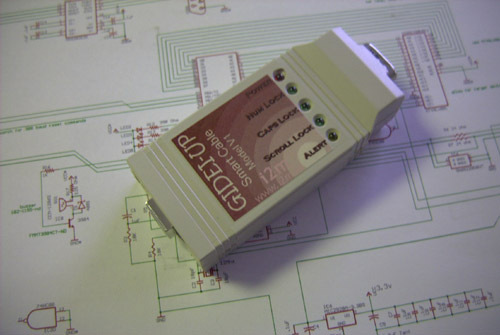 This project involved a hardware design to accept incoming serial commands from alternate input devices used by physically handicapped computer users. Serial commands are formatted in the GIDEI protocol and converted to standard USB keyboard and mouse movements. The device plugs into either a Windows based PC or a Macintosh and requires no additional drivers by using the built in HID (Human Interface Device) drivers. Currently there is support for 106 different language sets built in and can be upgraded through the USB port at any time.